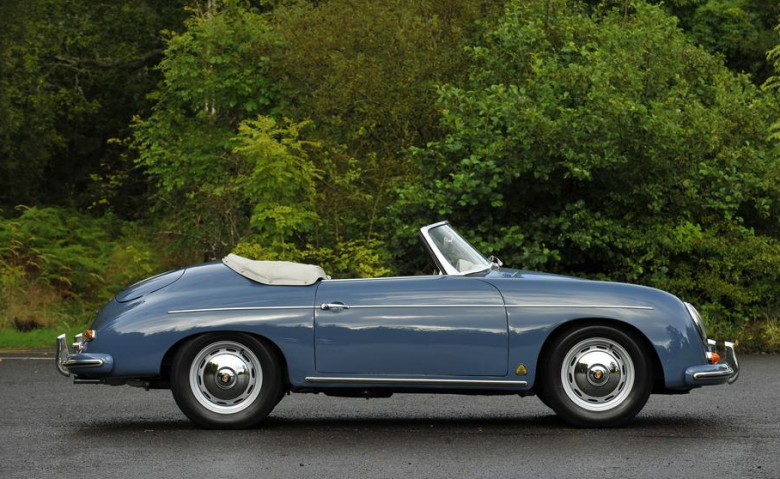 Border Reivers are proud to offer this matching numbers 356 Convertible D Speedster in Aquamarine blue with light grey hide. 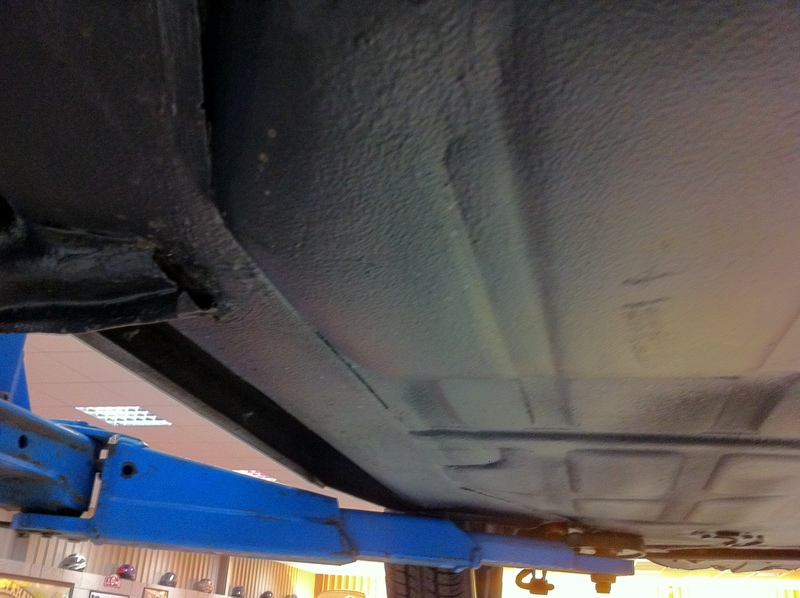 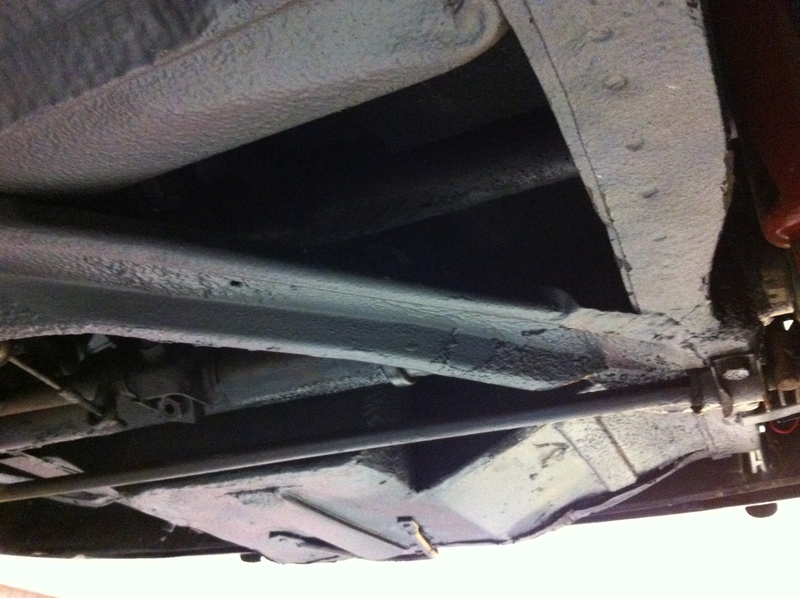 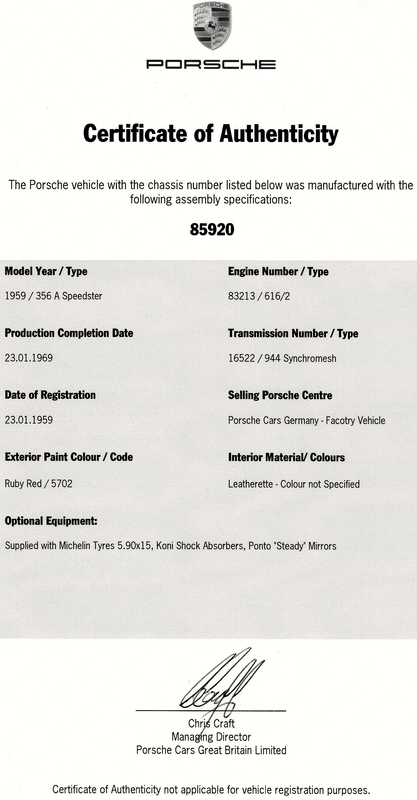 The car is UK registered. 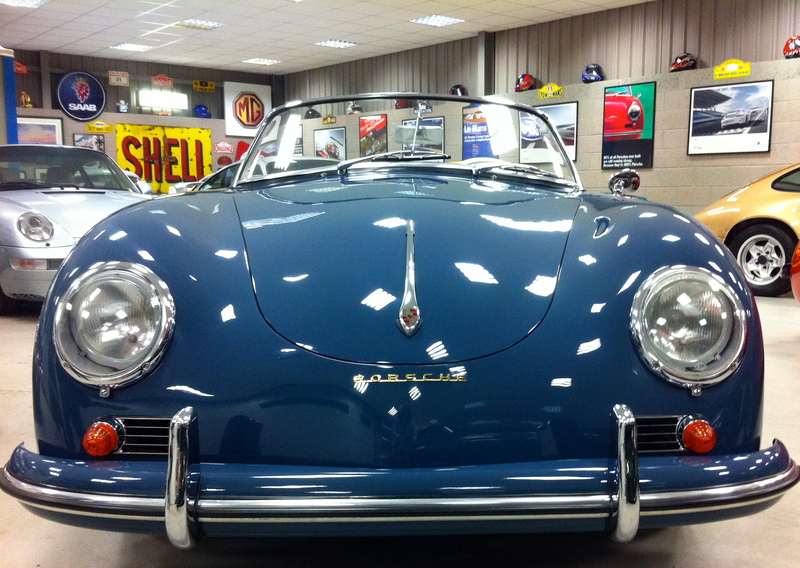 The Porsche Convertible D model is arguably the rarest “production” Porsche 356 model ever manufactured for a full year (Carreras being special order cars not made in groups on the assembly line, and the T6 “twin grille” Roadster was produced for only a few months). 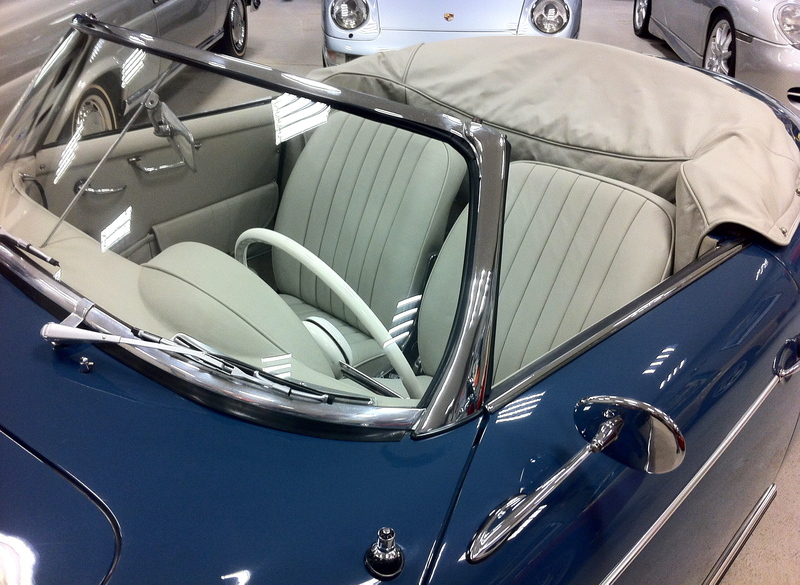 Only 1,331* Convertible Ds were made between August 1958 and September 1959. 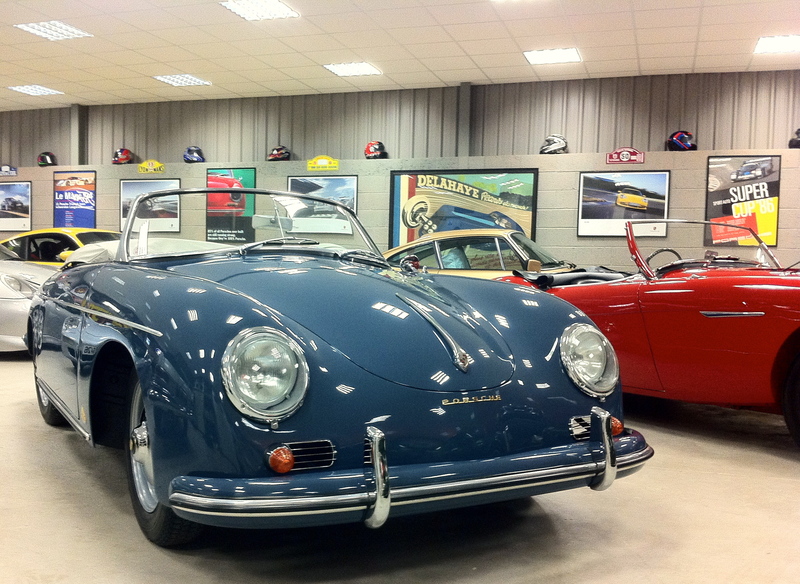 By 1958 the Speedster model was four years old and sales were declining. 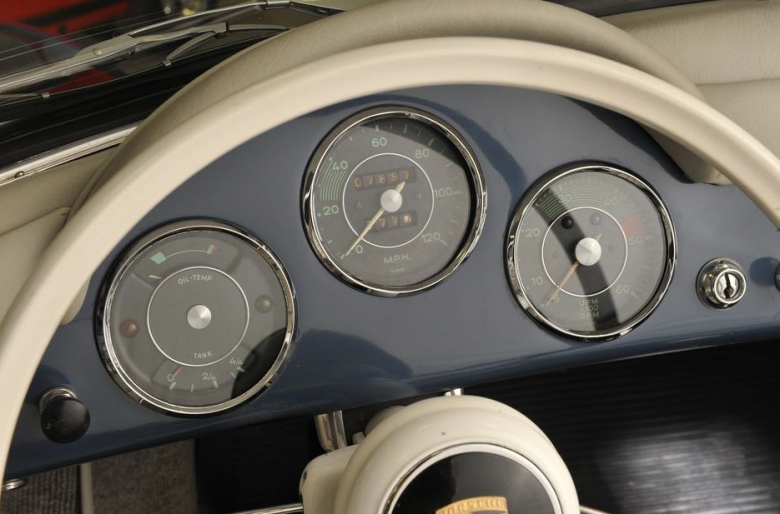 Porsche realised that significant improvements were necessary to attract buyers, but that there was certainly a market for a “weekend racer” with a removable windshield. 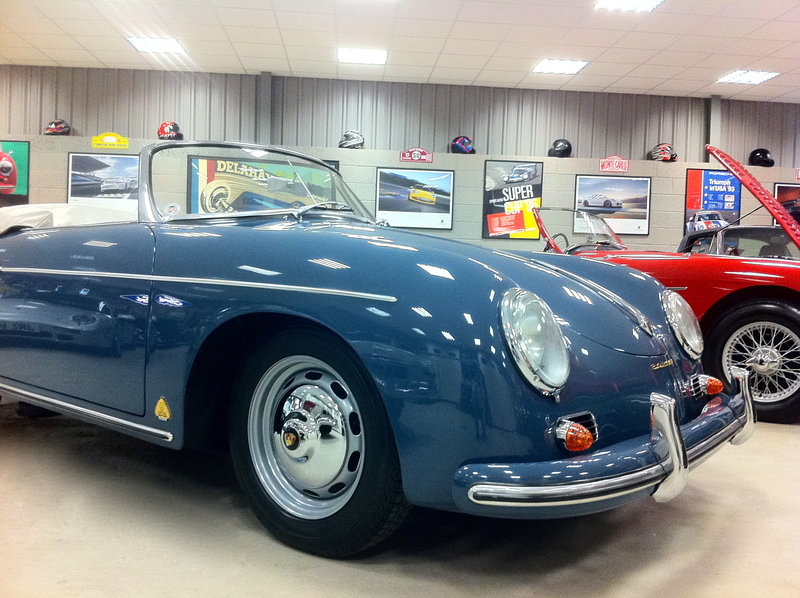 The Porsche 356A Convertible D was the solution (though a modern marketing department would have picked a racier name!). 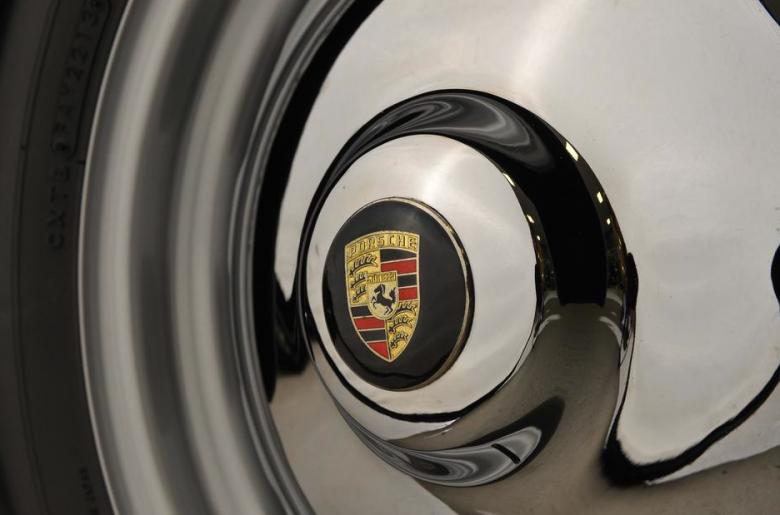 Because overall Porsche sales were growing at a steady pace, and the Reutter coachworks were straining to keep up with the demand, Porsche contracted with the Drauz company in Heilbronn to manufacture bodies for the Convertible D (the “D” stood for Karosseriewerke Drauz KG). 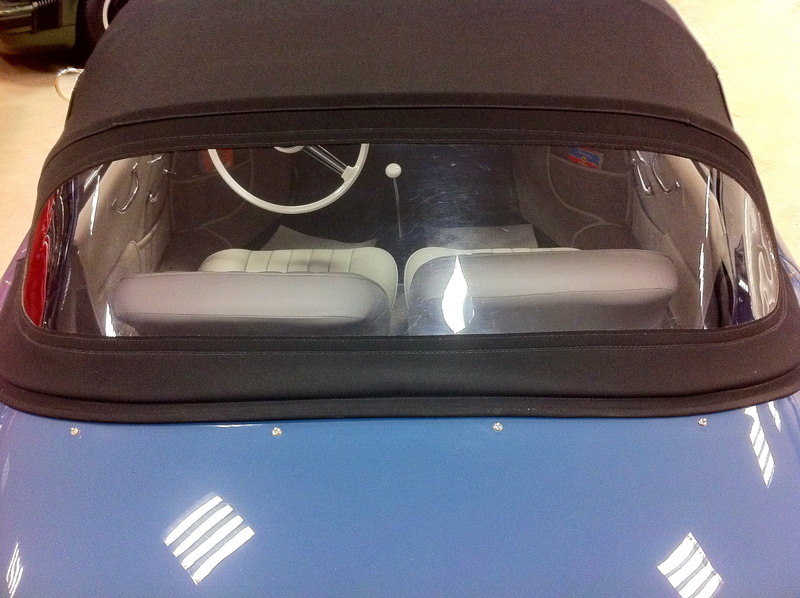 The key differences between the Speedster and the Convertible D are as follows: Windshield: a completely redesigned, taller windshield with a stronger frame, higher side posts and a better fit to the top assembly. 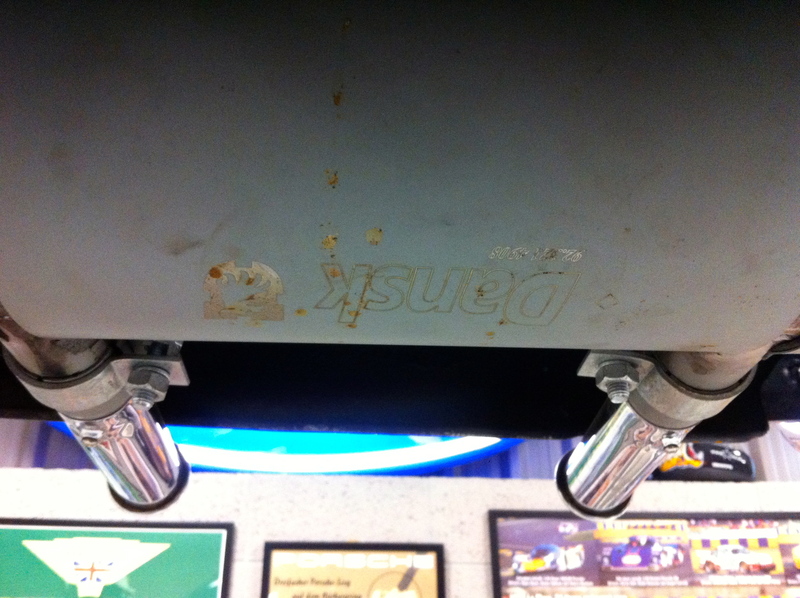 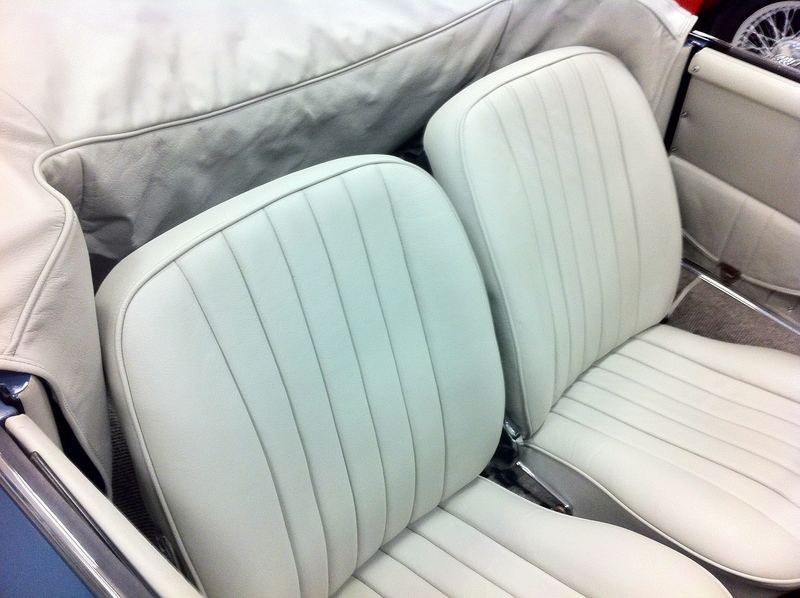 Both models had windshield frames and side posts made of chrome plated brass. 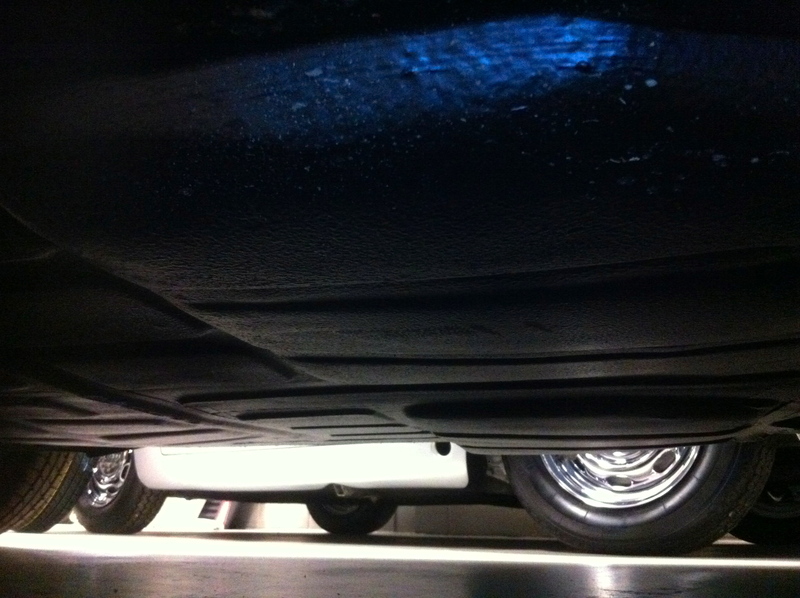 Overall the car was 3.5 inches taller. 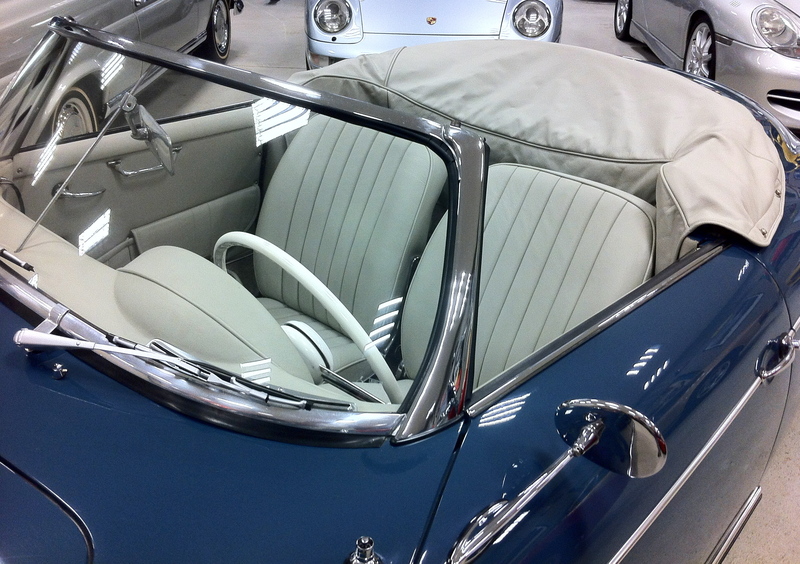 Top: “The tan folding steel top frame of the Convertible D evolved from the Speedster top to accept the higher windshield frame and roll-up windows. 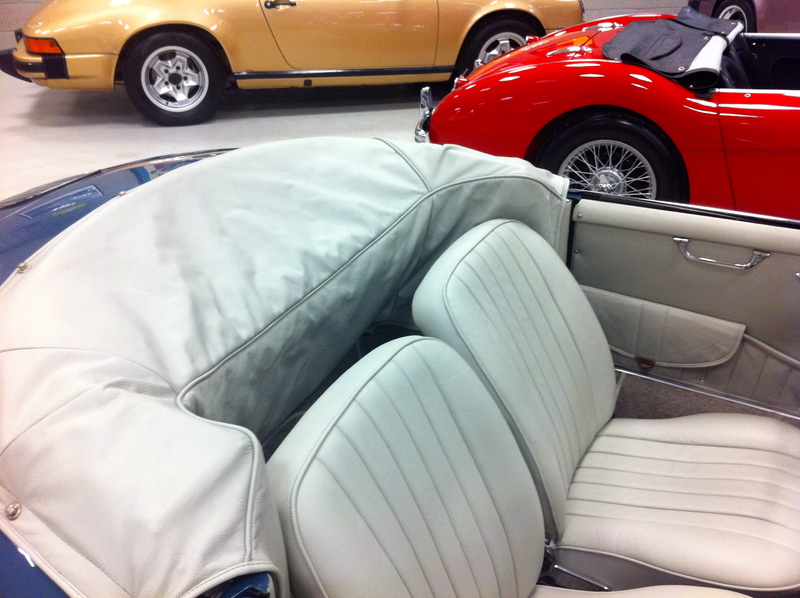 It had tubular steel construction with a steel front bow unlike the wooden bow of the cabriolet.” 1 The D top frame had an additional bow than that of the Speedster’s and two latches at the front similar to the Speedster’s; the cabriolet had three latches. 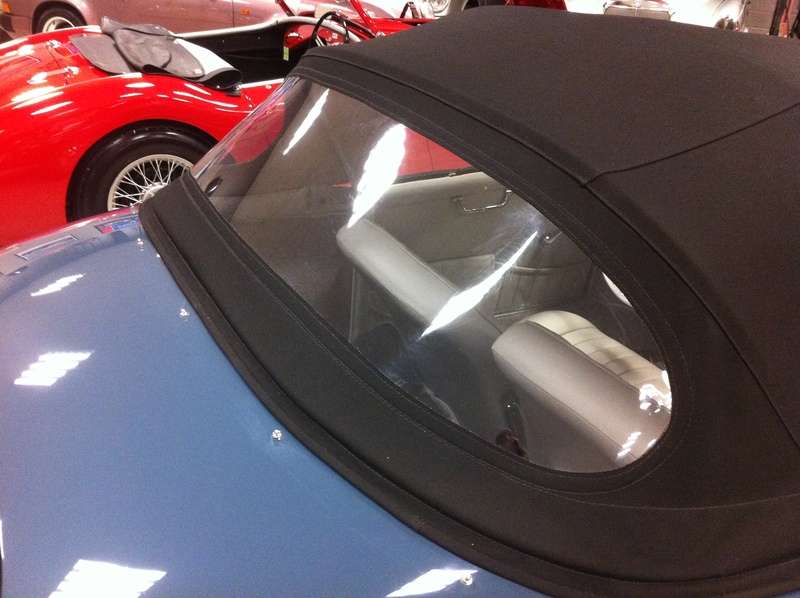 The D’s top also had rain gutters added above the side roll-up windows. 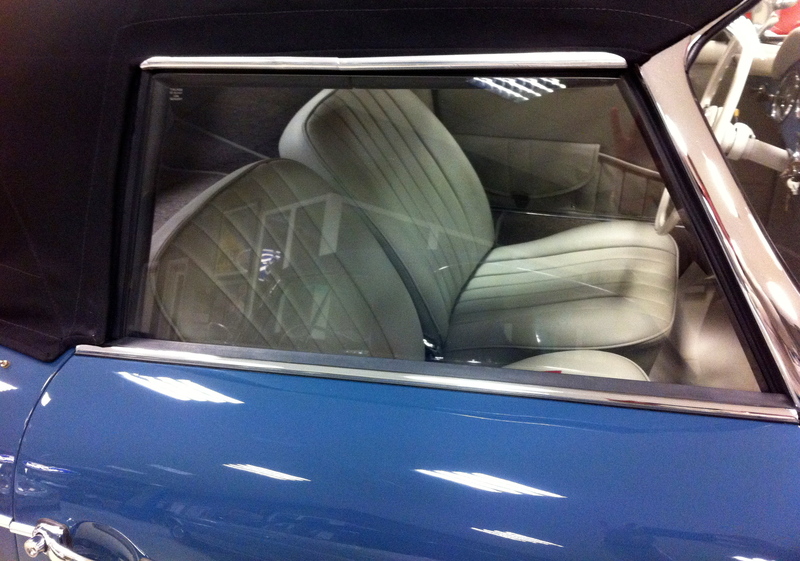 Rear window: a significantly enlarged rear window, even larger than the high-bow Speedster’s rear window. 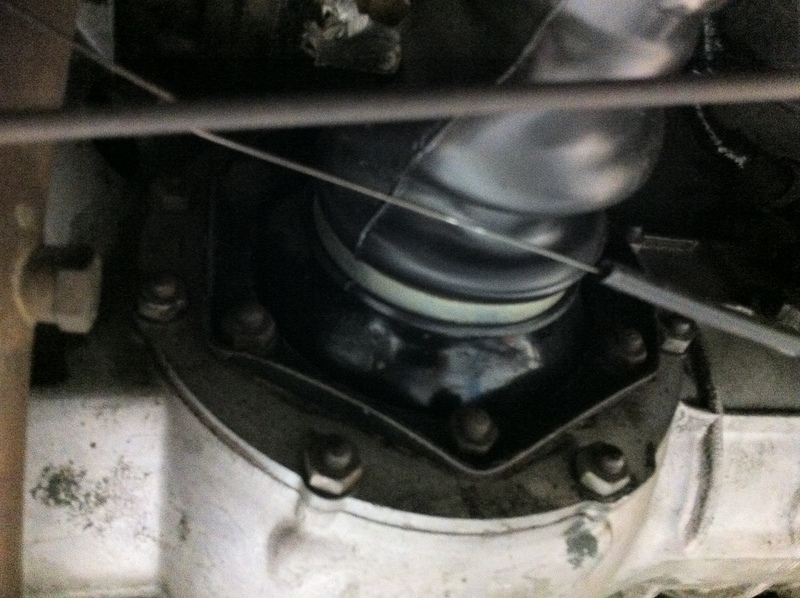 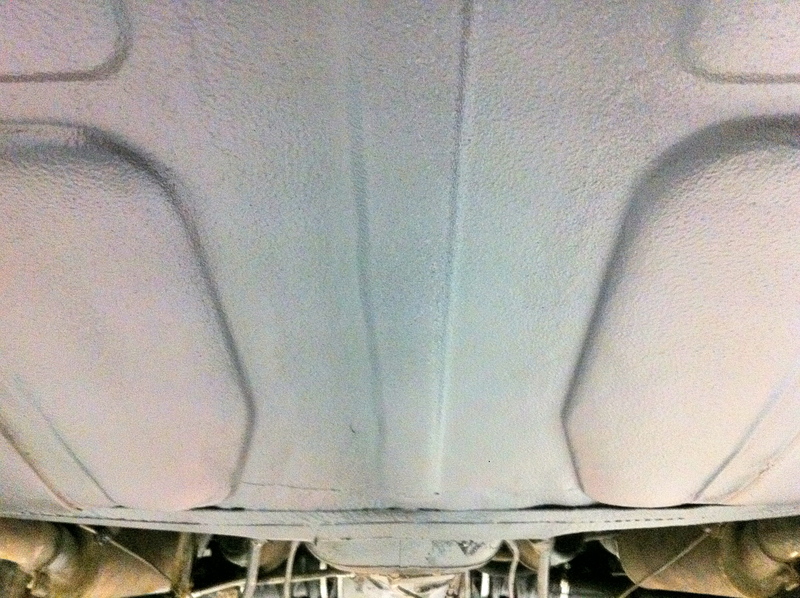 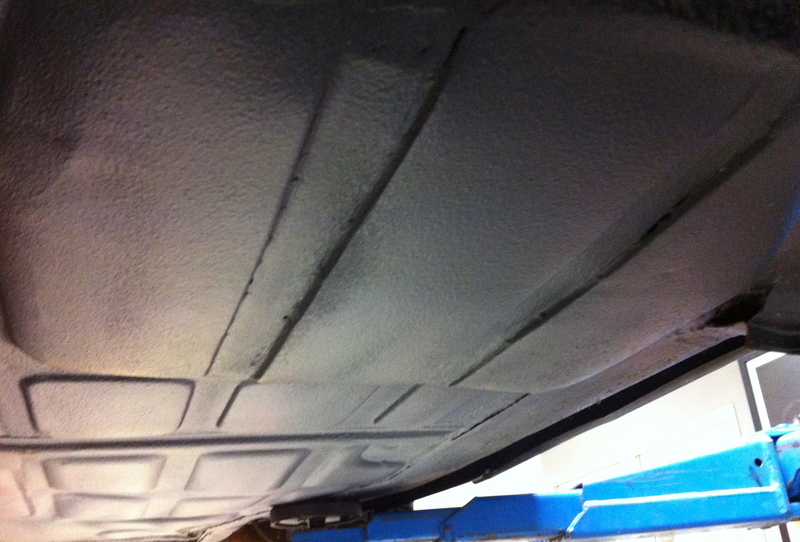 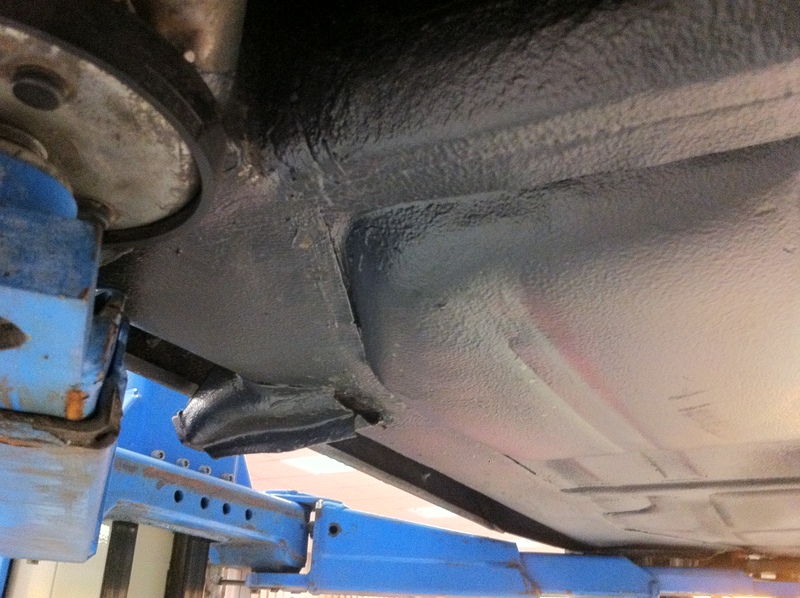 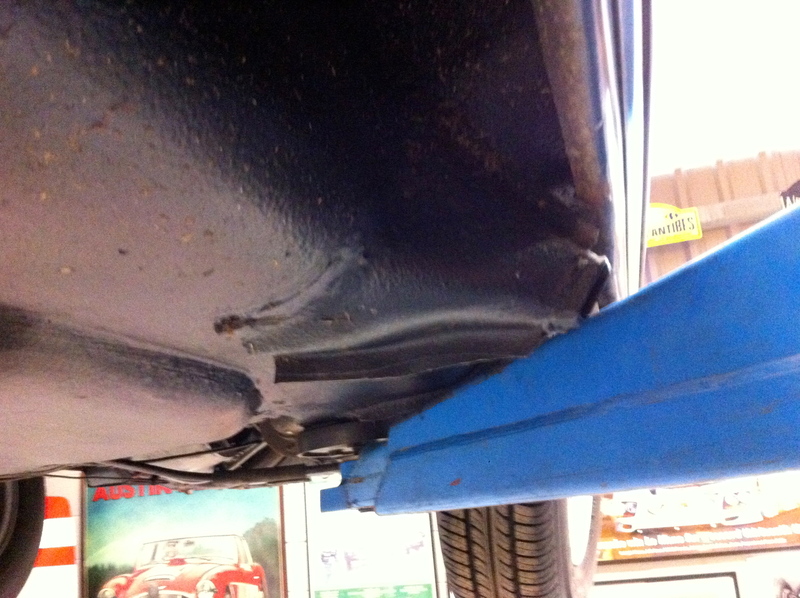 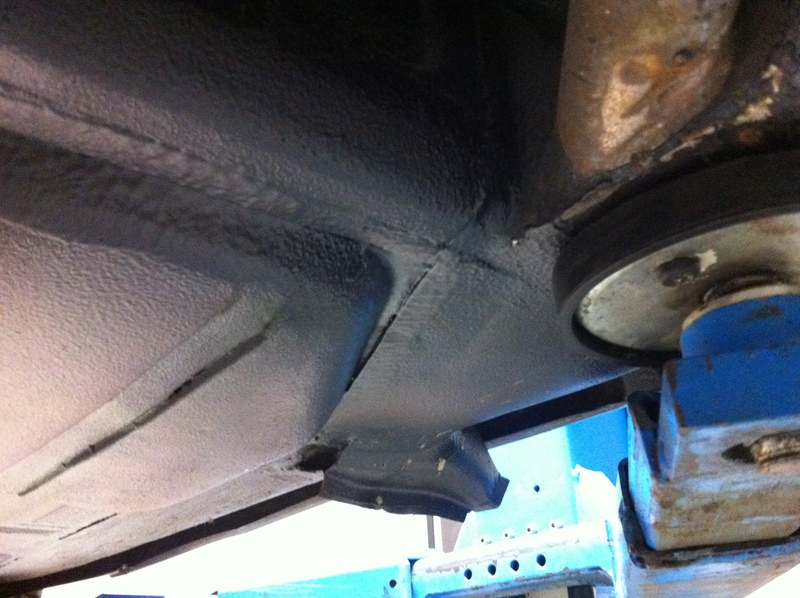 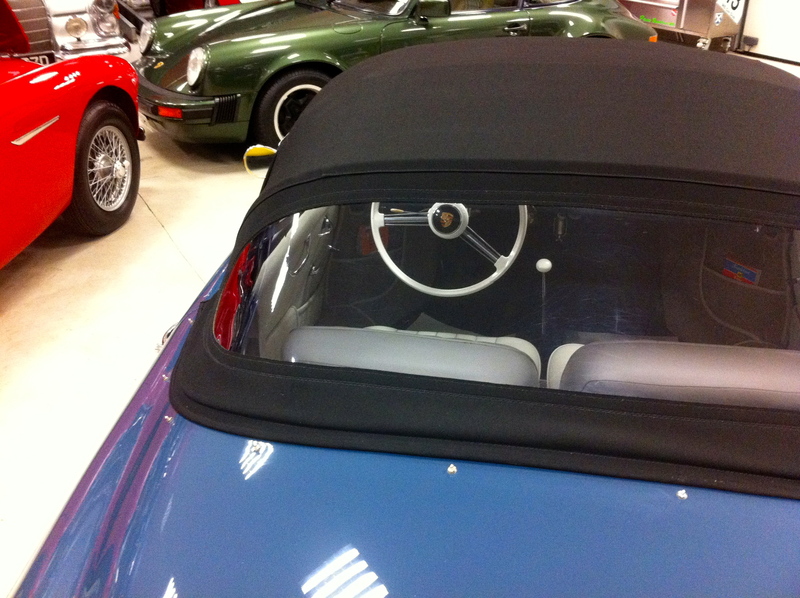 Rear Cowl: “The rear cowl of the Speedster was considerably different than that of the cabriolet, being longer and having no recess for the tack strip. 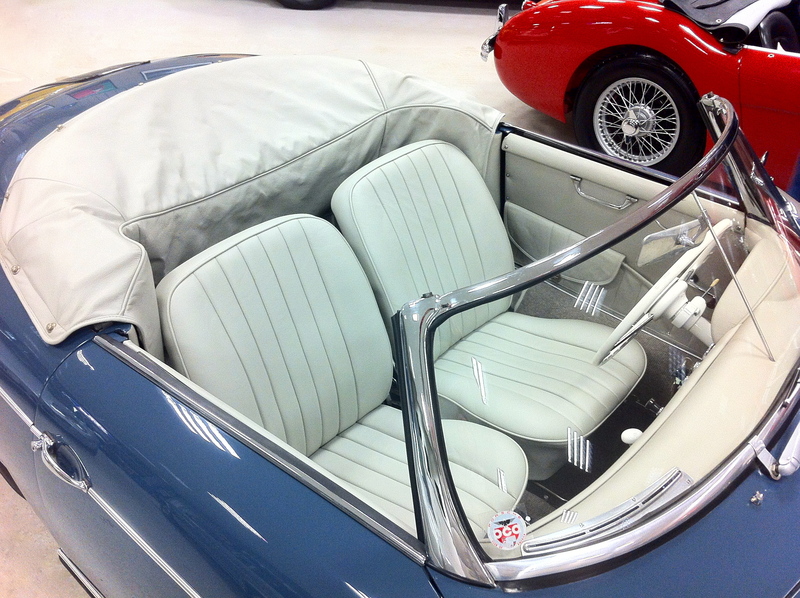 …A new part number was noted (for the rear cowl) with the introduction of the Convertible D, due to the shape of the rear cockpit and modified top mounting.” 1 Side windows: glass side windows with wind-up mechanisms, instead of side curtains, were added to the Convertible D. The doors themselves were essentially the same. 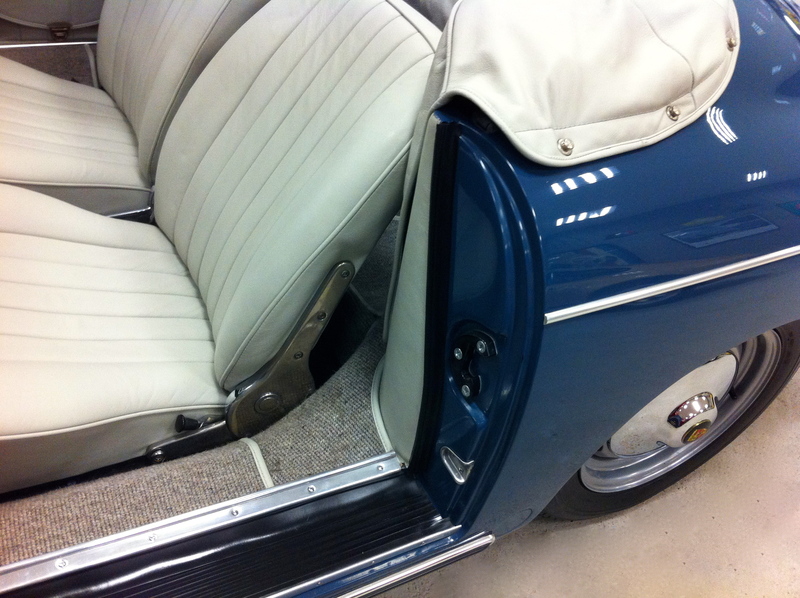 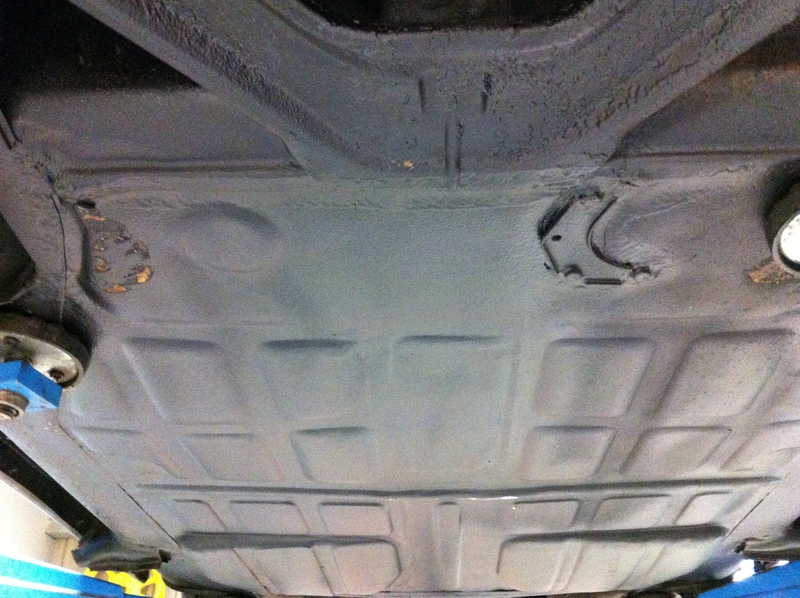 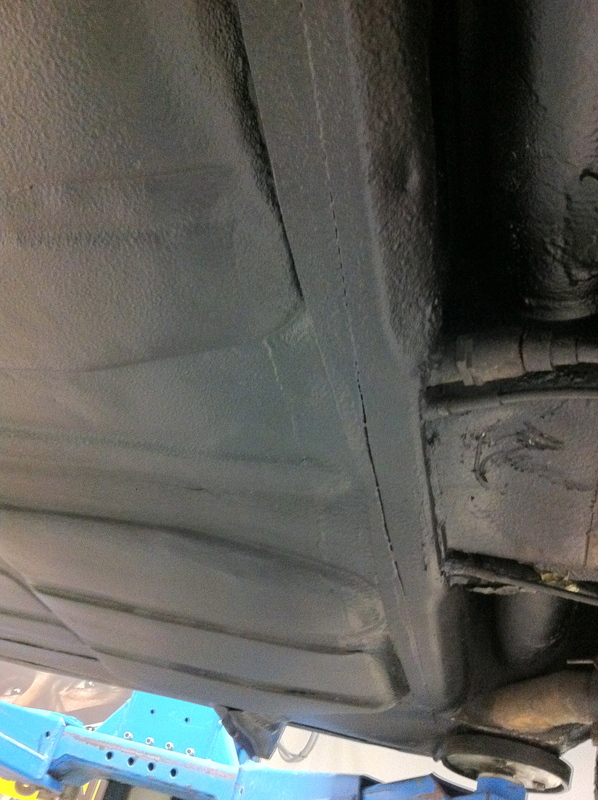 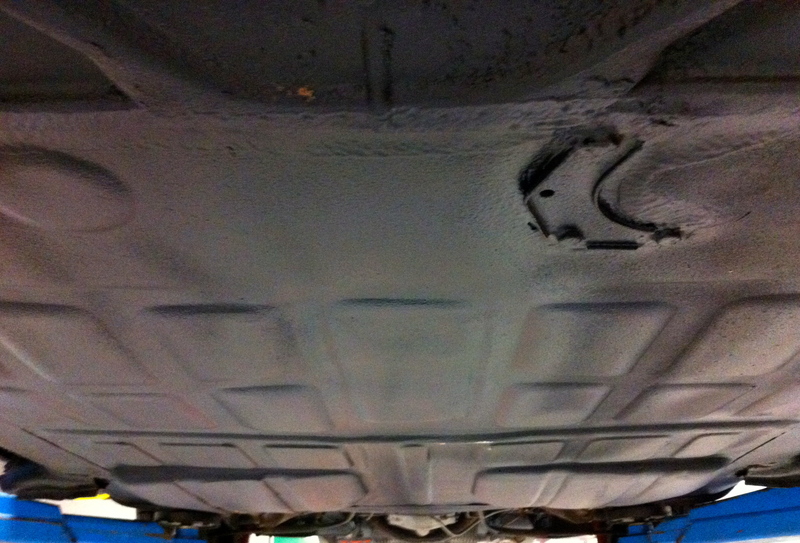 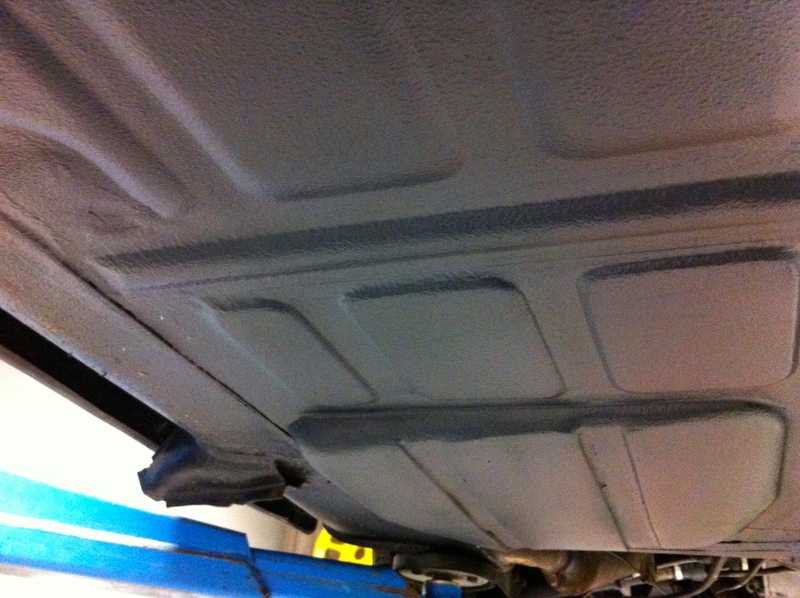 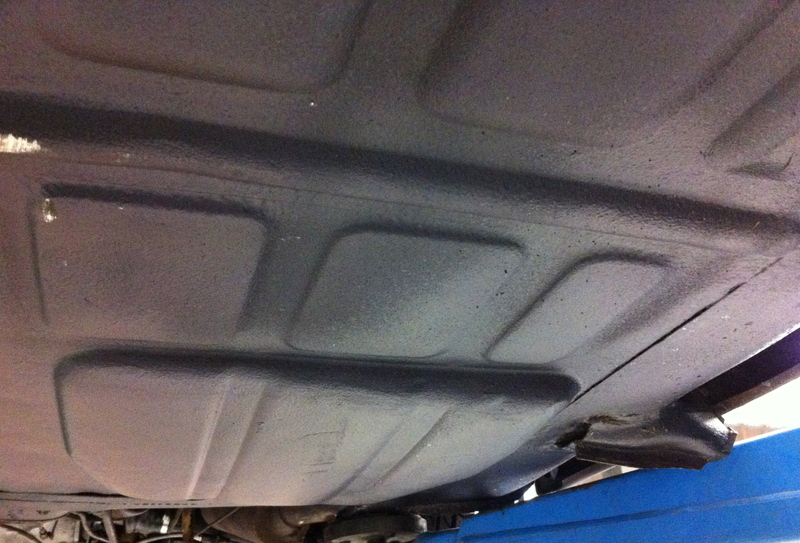 Door pockets: added to the D on both interior door panels. 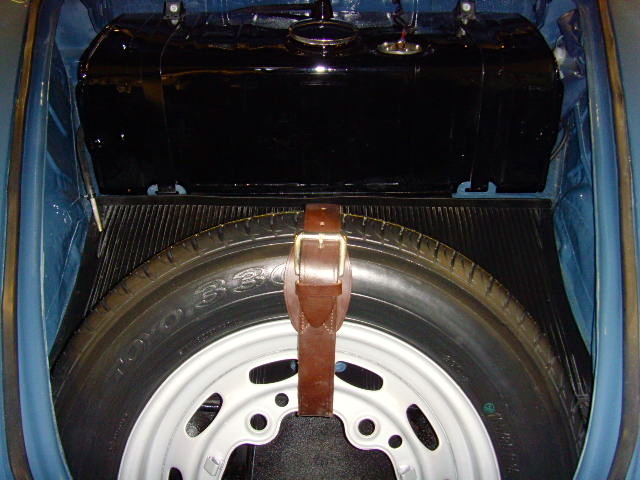 Also there was a lockable flap on driver’s side; the passenger’s side had either the pocket or the pocket with the locking flap. 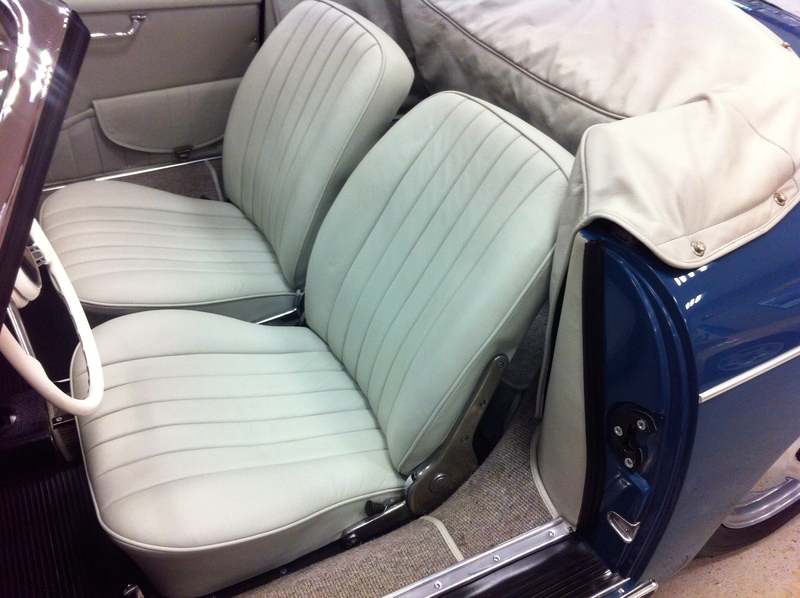 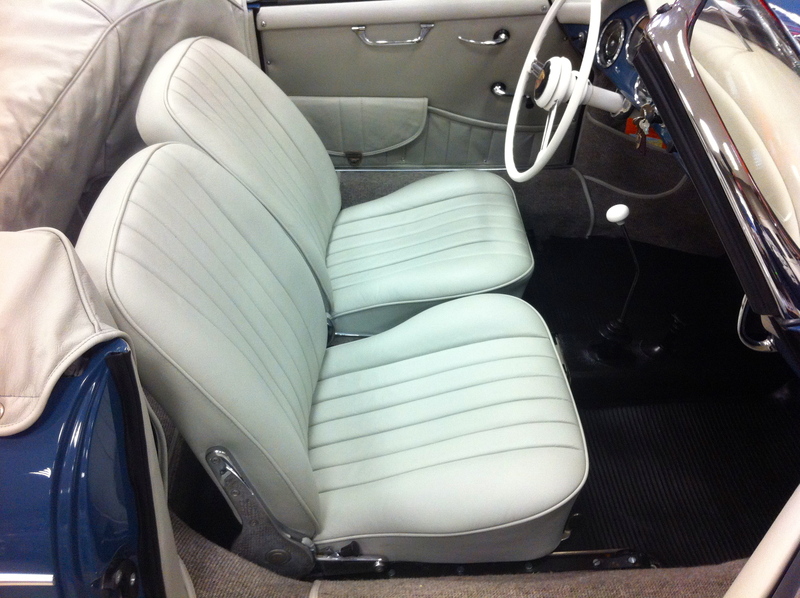 Seats: coupe-style non-reclining seats (recliners optional on one or both) instead of the minimally padded Speedster seats. 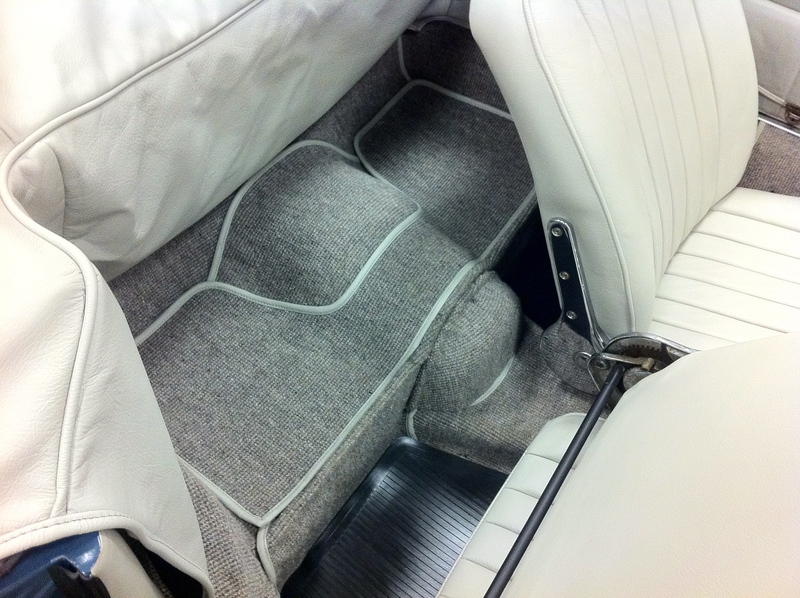 Also headrests were an available option on the driver’s seat and the headrest on the passenger’s seat could be added as well. 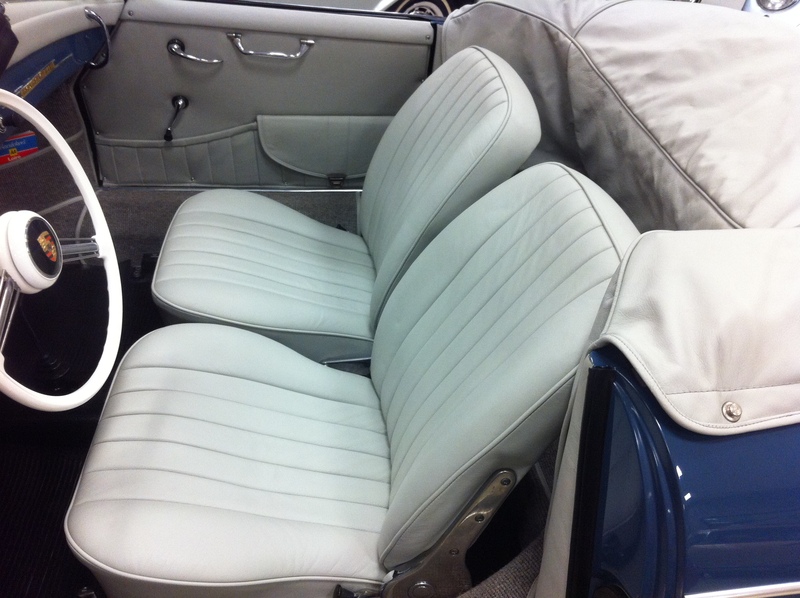 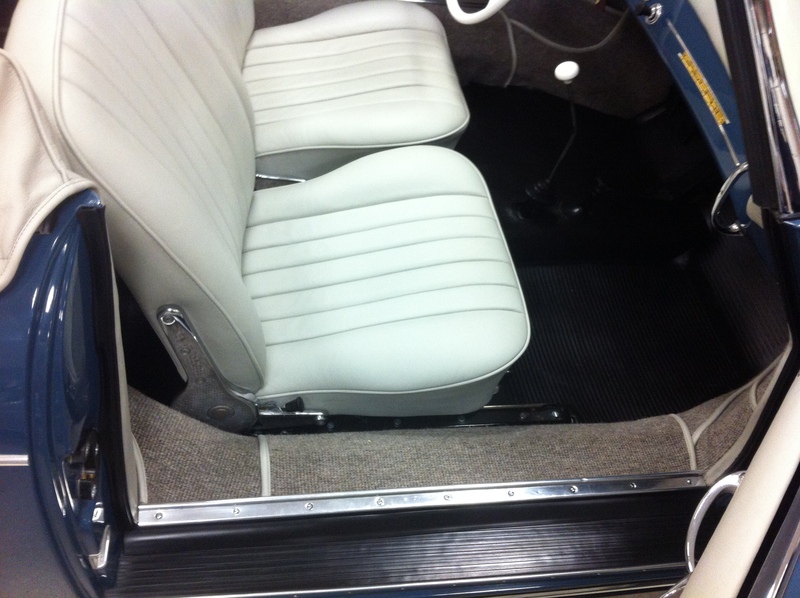 Top Boots & Tonneau’s: Speedsters were equipped with a vinyl half-tonneau; vinyl full tonneaus could be ordered. 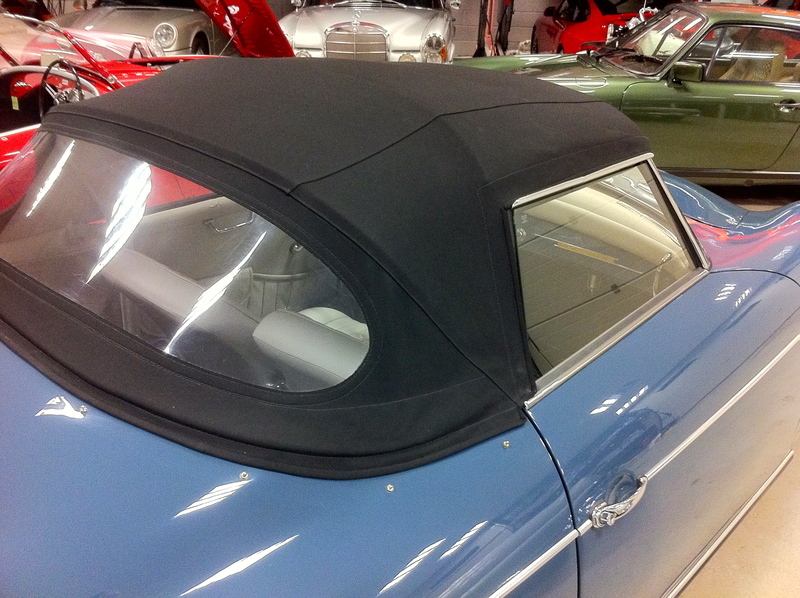 Convertible Ds came standard with a vinyl boot cover for the folding top (unlike a half-tonneau, it did not cover the rear area behind the seats). 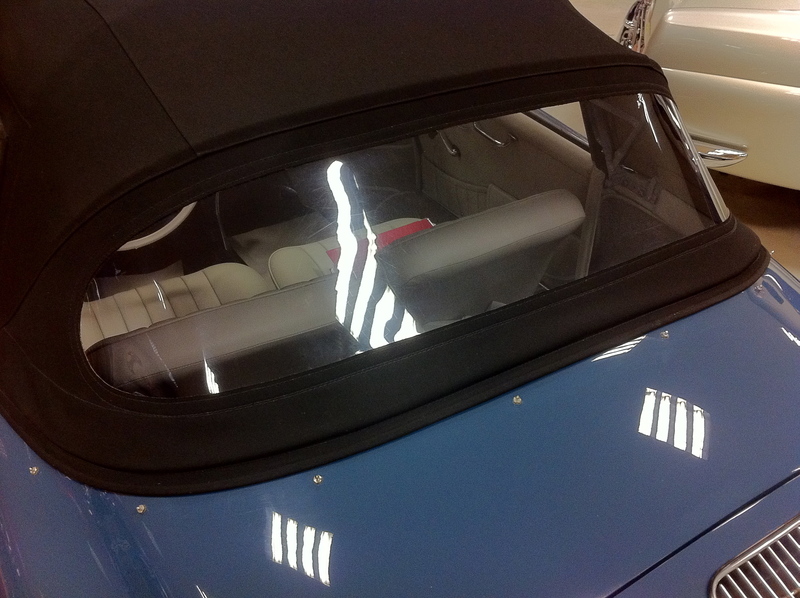 A vinyl tonneau cover could be ordered as an option for the D. Scripts, badges and mouldings: the “Speedster” script was no longer used on the Convertible D — the first prototype D had the script “Speedster D” on the front left fender but the production models did not. 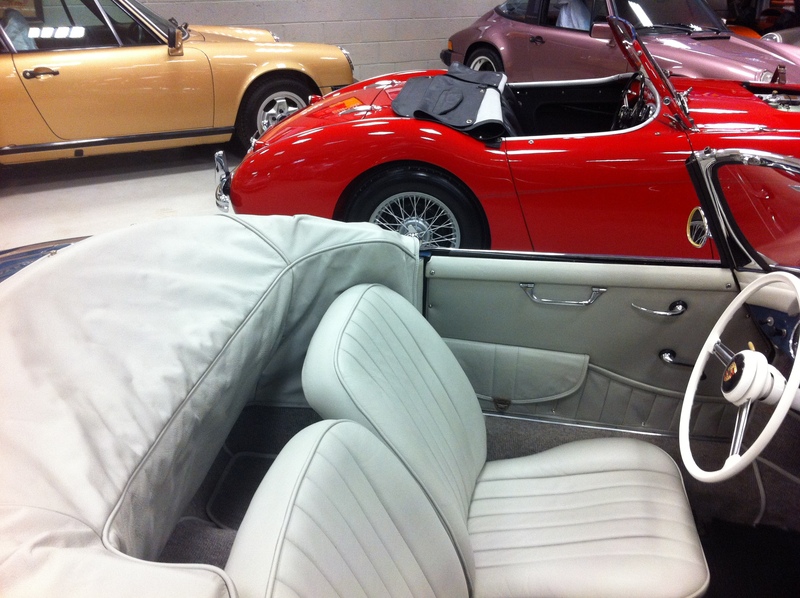 Convertible Ds were given the Drauz coachbuilder’s badge on the lower right fender. 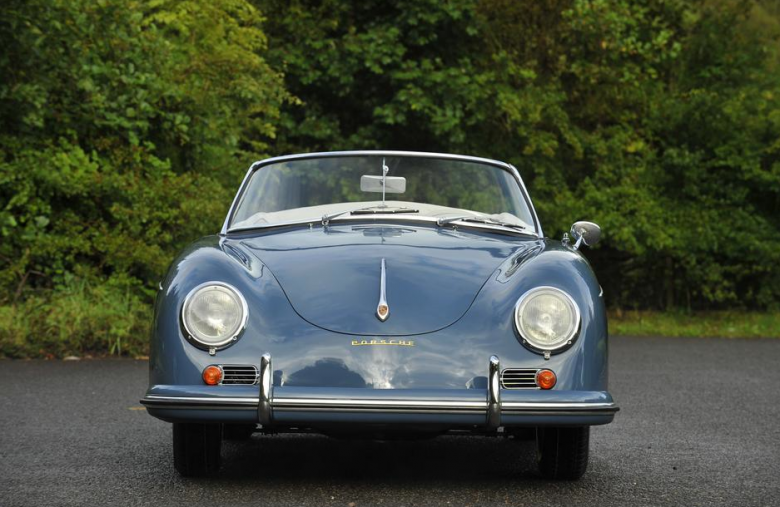 Aluminium upper side mouldings, pretty much standard on the Speedster, were continued into the Convertible D model run, however this could be deleted as an option. 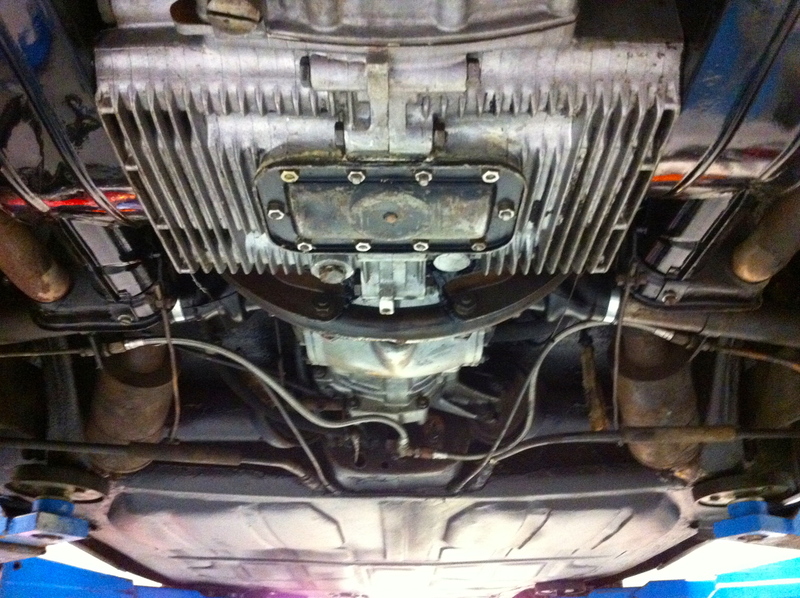 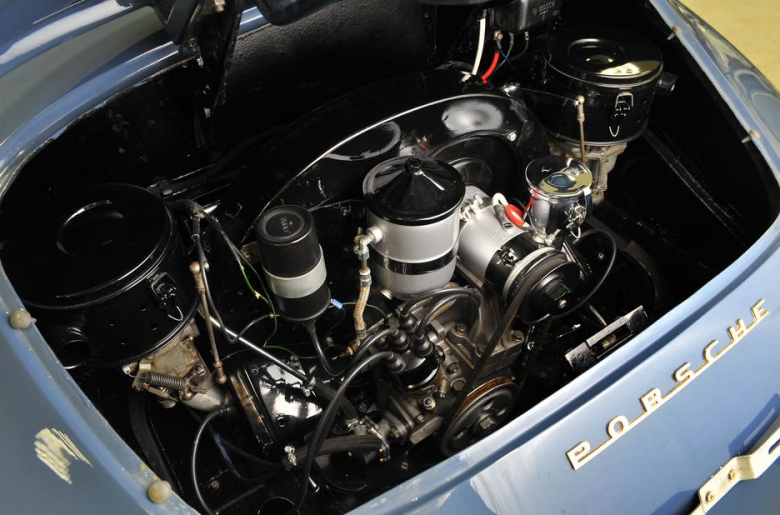 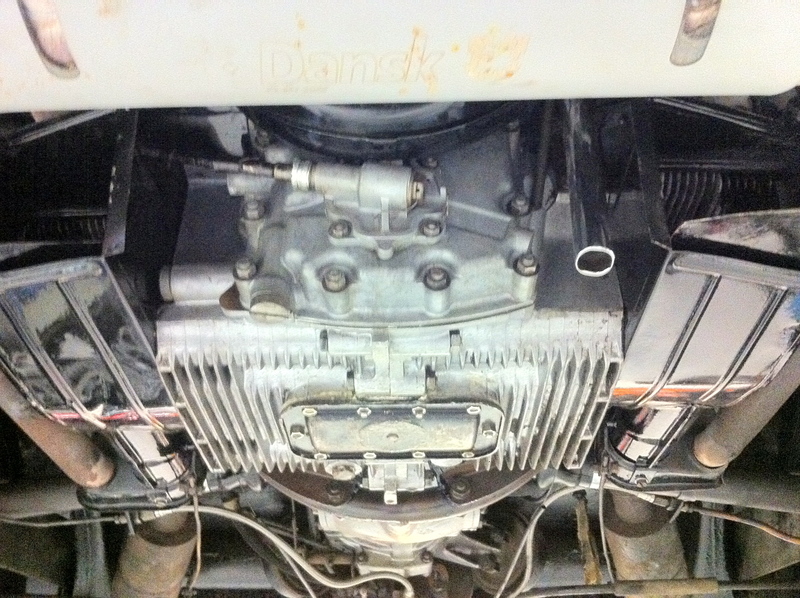 Engines: out of the 4,145 Speedsters built, 151 were originally equipped with four-cam Carrera engines. 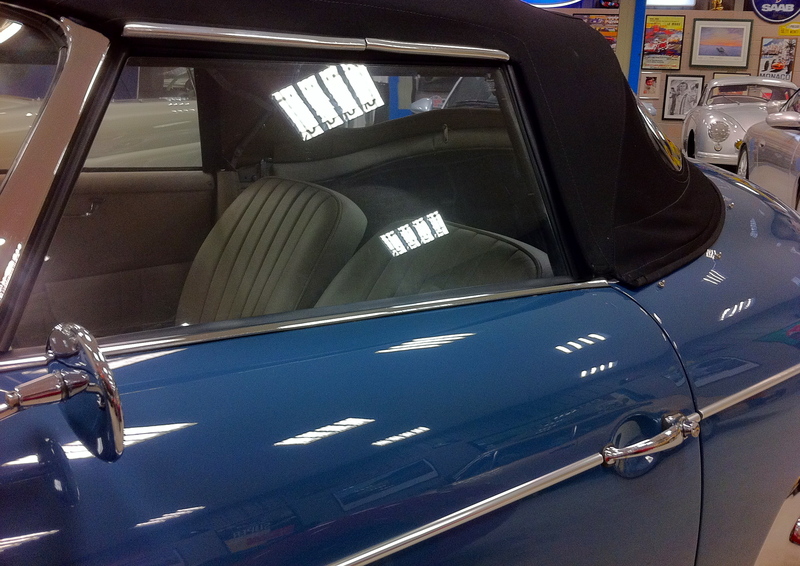 Only 2 Convertible Ds were equipped with four-cam engines out of 1,330 built. 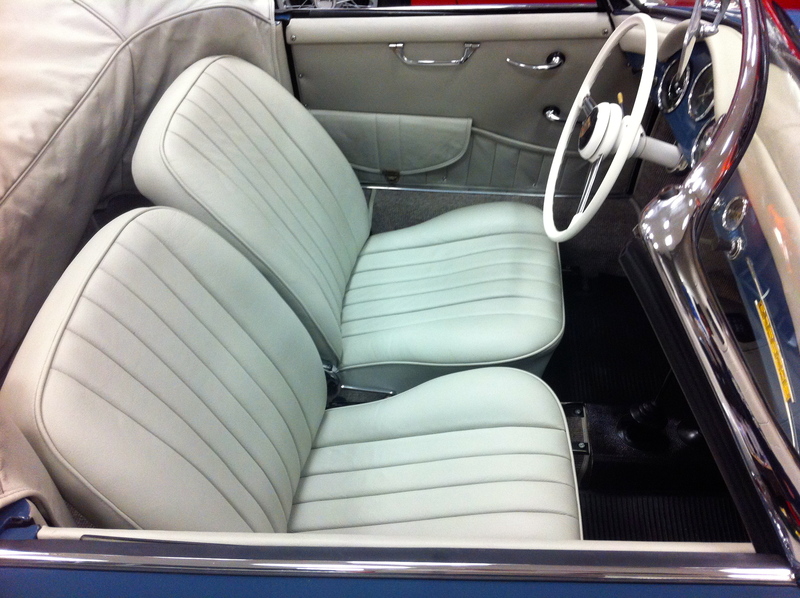 Either the 1600 Normal “Damen” (Type 616/1) or the 1600 Super (Type 616/2) engines were typically placed in the Convertible D. Minor changes: windshield washers became standard equipment, the wiper arms were changed, and the rear view mirror was slightly larger, mounted differently to the mirror support rod, and the dash had provisions for installing an ashtray and even a radio slung below the dash. 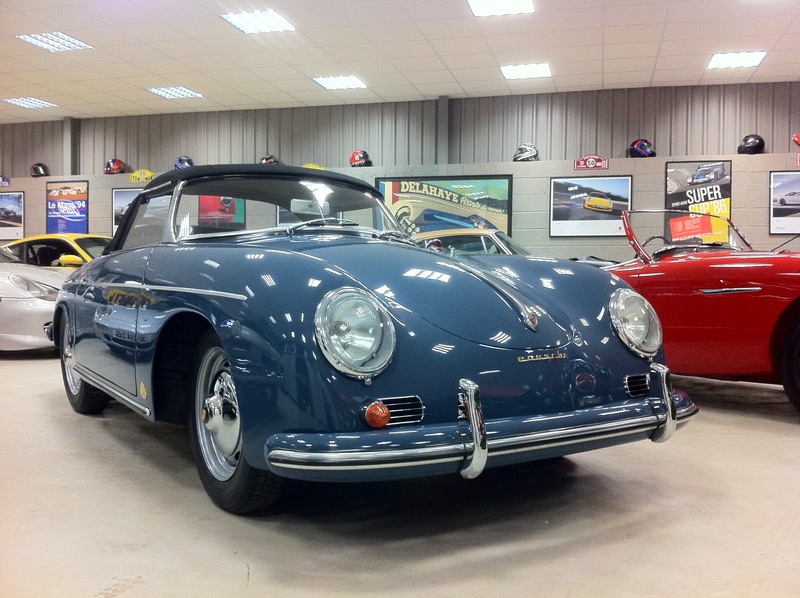 All in all, the Convertible D was a somewhat more practical car than the Speedster: a larger windshield, real side windows, and more comfortable seats, while retaining the beautiful body lines and downward sloping belt line that now attracts so many 356 enthusiasts. 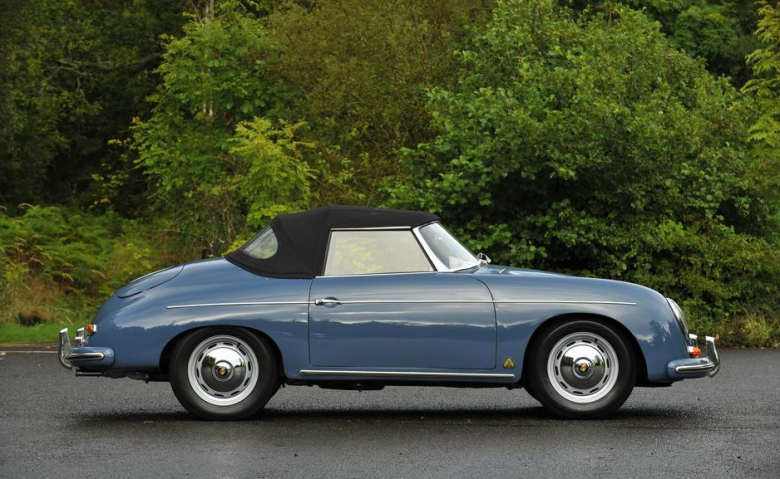 Of course some of the minimalist, racier features of the Speedster were lost, and many Porsche purists complained long and loud in 1958! 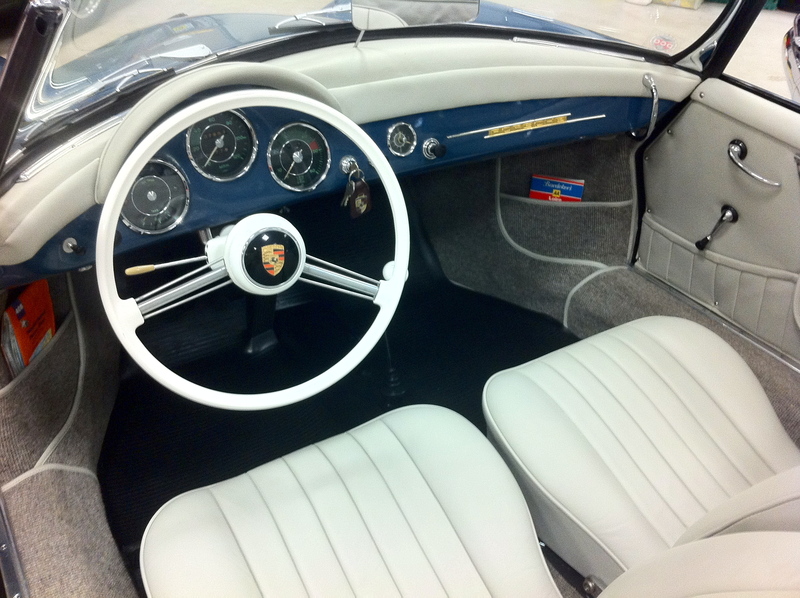 For the 1960 model year the Convertible D model was replaced by the 356B Roadster based on the new T5 body style. 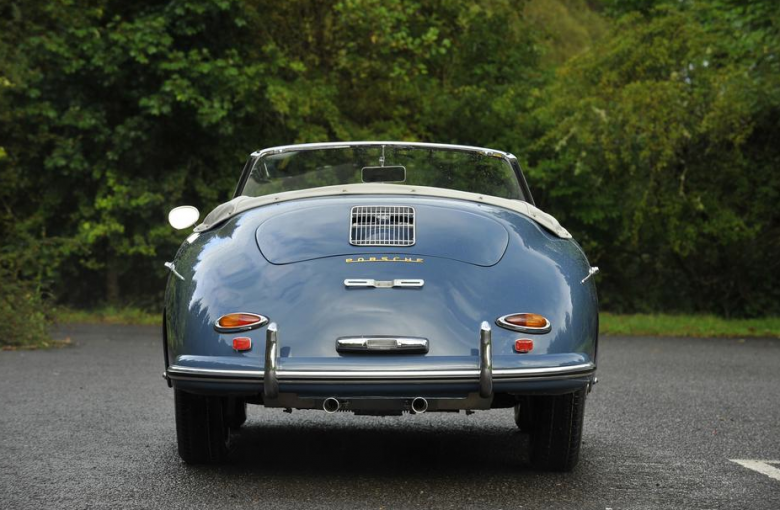 However, sales of the “stripped down” 356 continued to decline, and the last year of Roadster production was in 1962, when just 248 T6-bodied cars were made, with production ceasing well before the end of the model year. 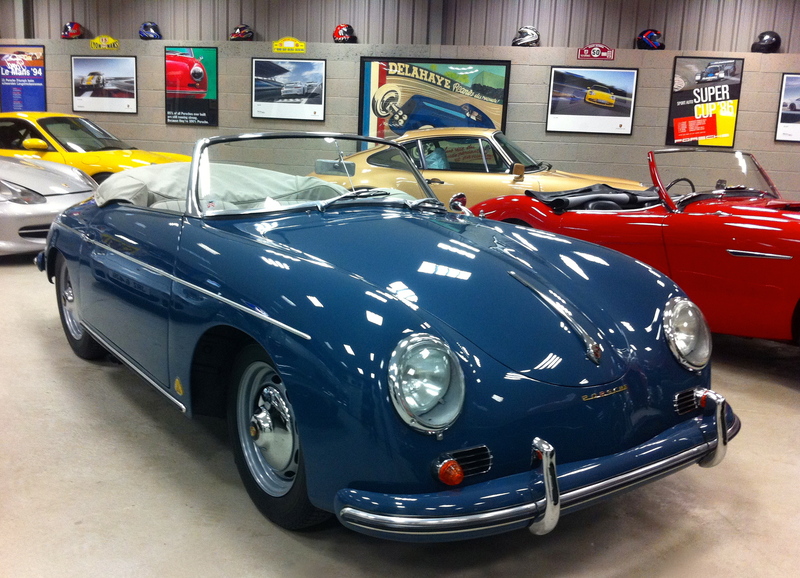 In the current market, it is ironic that those 356 models that were the least expensive “back in the day” — the Speedster, Convertible D, and Roadster — are now some of the most costly. 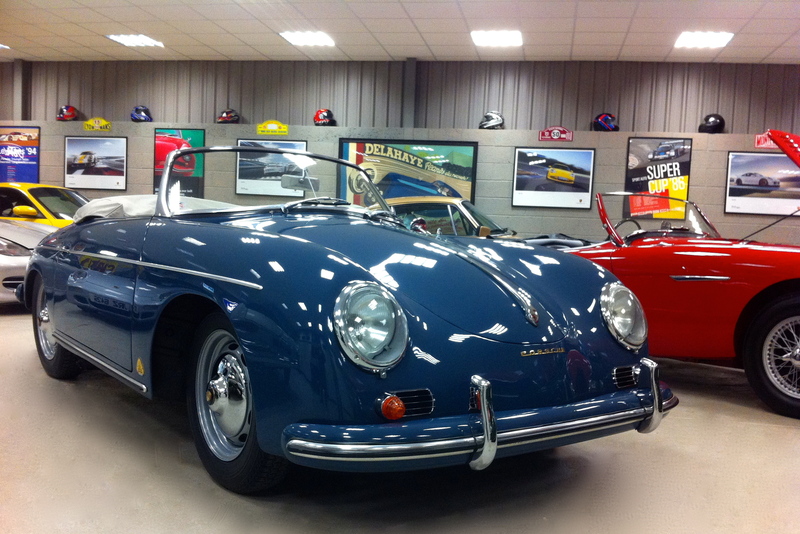 This car comes with a Certificate of Authenticity from Porsche cars & as you can see, Porsche still refer to it as a Speedster! 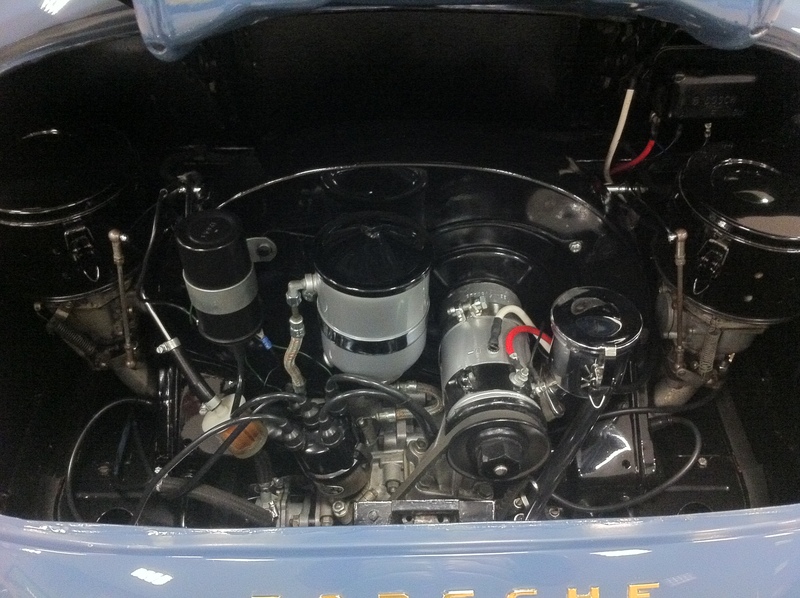 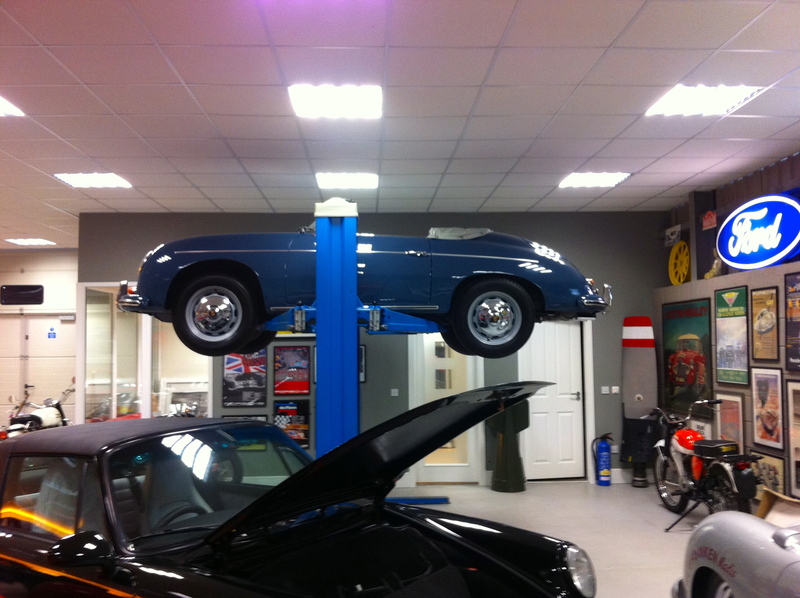 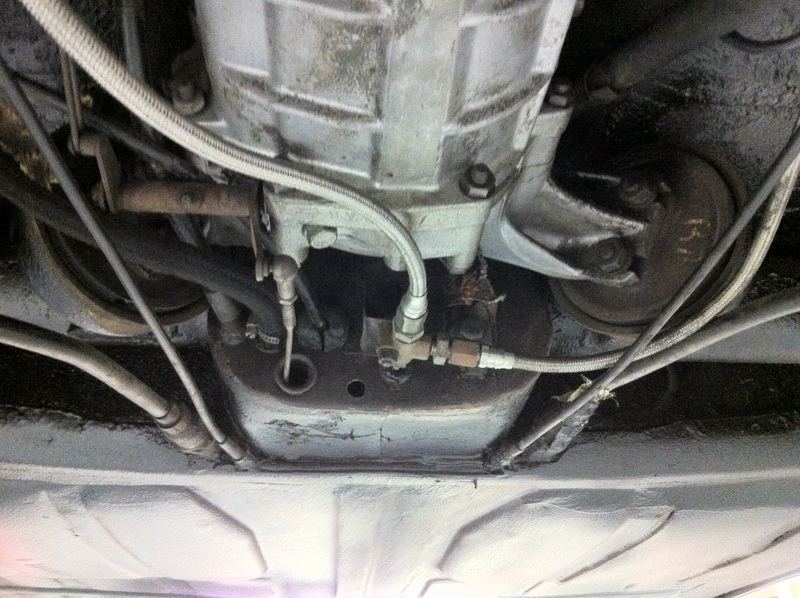 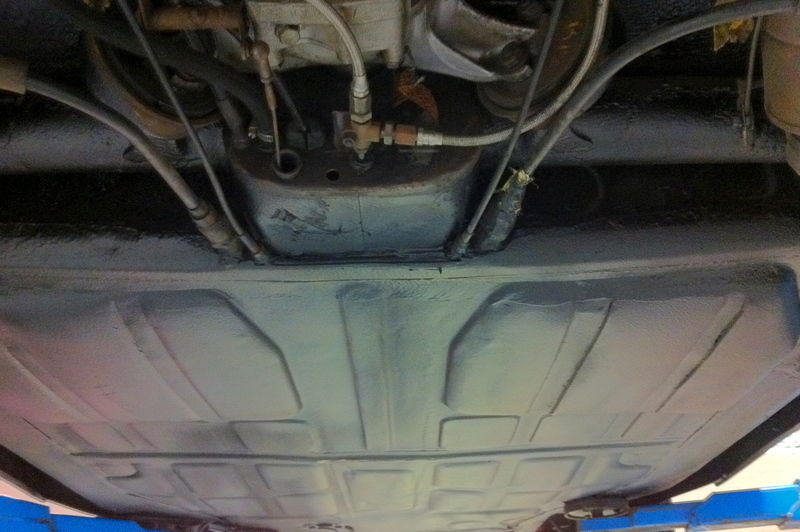 If you want to know whats involved and the restoration costs of a Porsche 356 check out Willhoit Auto restorations wonderful site.